See what I got today? Today I am so happy to receive this precious award from my fellow blogger Anamika Mishra from The Anamika Mishra Blog for my style, fitness and fashion blog. I feel to be on could 9 when someone appreciate and encourage your work. For me my blog is the place where I gather information and share with you all my experiences. For me my subscriber, my reader, my clients are like a family. I started this blog in year 2014. When I started this blog I was not fully associated with it as was into recruitment too. From past 4 months this blog is my full time profession. If someone asks me what are the 5 things you can’t live without then I would say 1) my family, 2) my cell phone, 3) food, 4) my photos and 5) my blog. I enjoy each and every moment of my life and wish to share the same thing in my blog. I am so happy that I received this award for my blog. 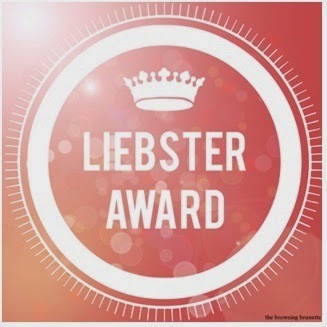 The Liebster Award is a platform and a way to appreciate and help new bloggers to discover new blogs. This award exchanged from one blogger to another blogger. From this award your readers and subscribers can discover your like list and follow them. Thanks the person who nominated you for this award. You need to answer the question that the blogger who nominated has asked you in a Liebster award blog post. Create your question and carry forward them. Last step is to nominate other blogger for this award. What is that one thing which you regret about blogging? I always regret if I would have started this blog earlier. My photos credit goes to my hubby and my sister in law. Beauty blogging, Travel stories or haul posts? Which is your favorite? Hmm, I enjoy beauty blogging as I can purchase new products and can use them and share with my readers. Your favorite all-time lipstick shade? Lakme absolute plum and shine candy shine. The blog you always read and why? Best food you have ever eaten and where? Hey Anamika once again thank you very much! Friends, check out these wonderful blogs and I am sure you will love them.